Shiva Bhagwan left his abode on Mt. Kailas in the Himalayas to meditate in a cave. Parvati’s friends suggested that she should have an attendant (gana) of her own because they were not pleased with Shiva’s ganas. Thus, she used her divine powers and bore a son. 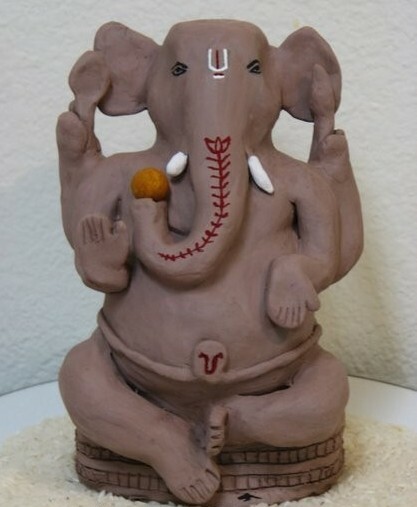 She named him Vinayak and instructed him to guard their home. When Shiva returned home, Vinayak did not allow him to enter. After a brief argument, Shiva beheaded Vinayak with his trishul. When Parvati heard about this incident, she cried in despair over the loss of her son. As a means to console Parvati, the story is that Shiva sent his men to search for any creature that is sleeping with its head towards North direction. The men were not able to find any and they had to search long and hard, and it was finally they found a baby elephant sleeping with its head towards North direction. Shortly, his men returned with the head of a baby elephant. With his divine powers, Shiva placed the baby elephant’s head over his son’s body. In a matter of seconds, Vinayak came back to life. This is the reason elders tell children not to sleep with their head in North direction. Public celebrations of the festival are also popular, and are organized by local youth groups, neighborhood associations or groups of business people. Funds for the public festival are collected from members of the association and local residents for the celebration. The Ganesha idols and accompanying statues are brought in good murhat and installed in temporary shelters, known as mandaps or pandals. In big youth groups where the collection is high, some social activities are done like blood donation, giving free notebooks to poor children, distributing grains among poor, blood donation etc. 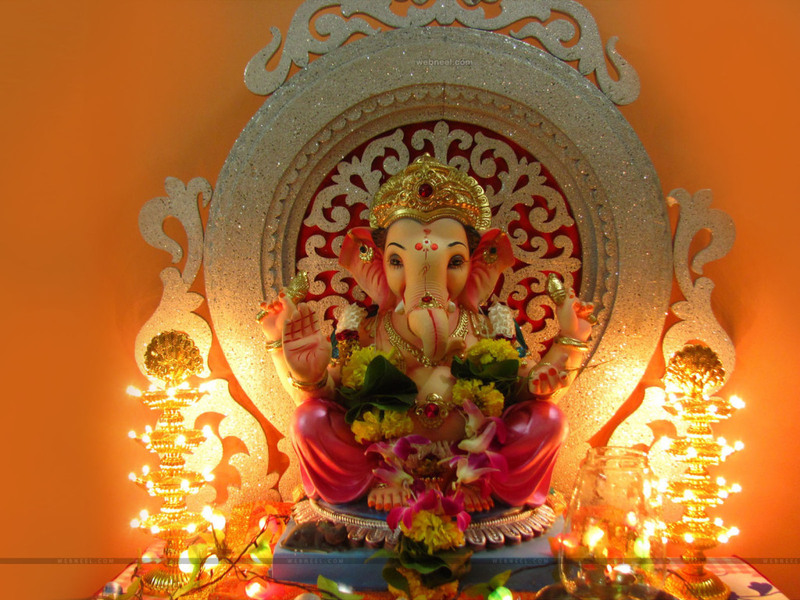 Ganesh Chaturthi, in addition to its religious aspects, is an important economic activity in Mumbai, Pune, Hyderabad, Bangalore and Chennai. Many artists earn a significant amount of their living hood during this 10 days celebration. Peoples of other religions also participate in the celebration. It is now also celebrated in some countries of abroad. On the last day of worship the idol is taken out in a colorful and musical procession to be immersed traditionally in a nearby lake, river or beach. Wish you a Happy and a Blessed Ganesh Chaturthi 2016! From – Mangal Phera & Team. Previous story Engagement: “Ring“the Hearts!